In 1962, Serge Lifar was invited by the Paris Opera to recreate his ballet Icare. The plot he composed was inspired by Greek mythology – with the wings made by his father Daedalus, Icarus launches himself into the air, but intoxicated by the act of flying, he goes too close to the sun, the wax of his wings melts and he falls into the sea. Created in 1935, the ballet was a manifesto where the dancing was choreographed separately from the music. In addition to the choreography, Lifar was in charge of the “rhythms” that accompany it, orchestrated by Arthur Honegger. For this reproduction, the former dancer designed new costumes himself and suggested to his friend Picasso, whom he had met through the Ballets Russes in the 1920s, that he create the set and stage curtain. Picasso had not worked on any more ballets since 1924, with the exception of a curtain for Roland Petit’s Le Rendez-vous (1945), based on an existing design. The artist nevertheless agreed to design this new piece – he provided Lifar with a sketch reminiscent of another “fall of Icarus”, that of the fresco he painted in 1958 for the UNESCO headquarters. LES EXAMENS INTERNATIONAUX de DANSE CLASSIQUE 28 – 29 – 30 juin 2018 à Florence, Italie. Trois jours de cours avec des maîtres internationaux pour la préparation aux examens. Participation de tous les étudiants à l’ouverture du Gala des Etoiles, dans lequel d’importants danseurs internationaux danseront. 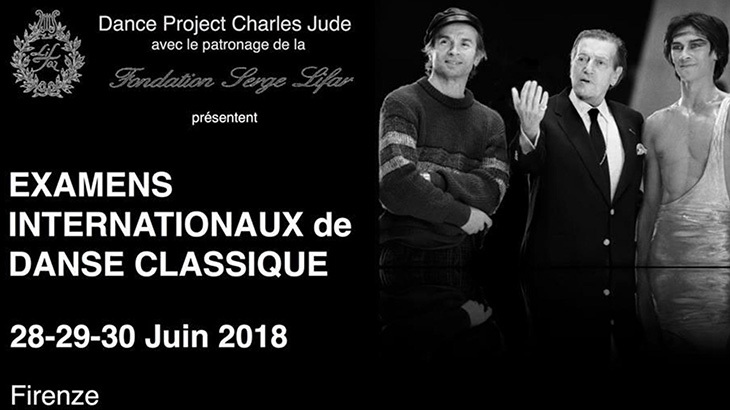 Participation au Gala pour les étudiants qui réussissent le dernier niveau d’examens et obtiendra le Certificat d’aptitude de Danseur Classique Professionnel de la Fondation Serge Lifar, et pour les étudiants qui seront distingués lors des examens.